Fresh wind over the ocean soothing your head! The sweet fragrance of wet sand! The joy of splashing at the shore! All this gets a new meaning when you are accompanied by your loving pet on the beach. Dogs love fun, and so they love places that offer them the same. There is nothing more exciting as well as relaxing than walking on the pristine Australian beaches with your dog. But beaches are open space, and your dog would want to run freely. Keeping all the pros and cons in mind, let us give you a list of these dog-friendly beaches in Australia to help you plan a vacation with your dog. If your dog is an inseparable part of your family, Sirius Cove-Mosman Beach is the best beach spot for you. The beach is protected and has plenty of shades on the grassy side, so that you can freely and comfortably enjoy with your family and pet. The beach is off-leash all day during weekdays while on Weekends and on Public Holidays, you can bring your pet before 9am and after 4pm. This long, sandy beach located on the southern Foreshore of Botany Bay is famous for being dog-friendly. Silver Beach-Kurnell has a special dog-friendly zone near the boat ramp where you can let your dog frolic free in the calm waters and cuddle on the sand. The beach is off-leash 24 hours a day. If you are about to plan your vacation to Australian beaches with your dog, this could be one of the best options. Nestled on the south of Noosa National Park, Sunshine Beach is a heaven for your dog, especially if it is full of energy. If you are here during a weekend, you will see many Australian families with their four-legged friend spending a happy time along the shores. This picturesque beach is another favourite spot to many dog-lovers. Located on the shore of Melbourne, St Kilda Beach has 3 dog-friendly sections where you Poochie can run and play freely without you keeping an eye on it all the time. 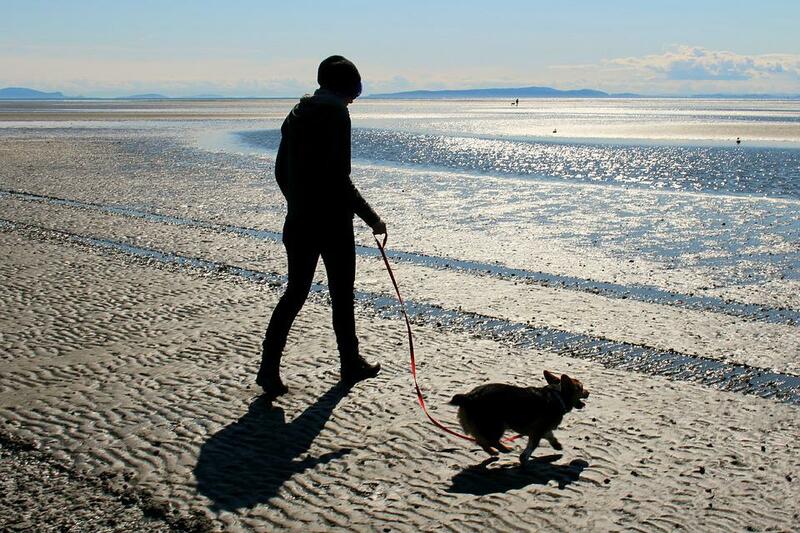 The beach has a paved pathway and enough grassy area to make your dog love the place. One of the best dog-friendly beaches in Sydney, Rowland Reserve is the place your dog would love to visit. The dog-friendly are of this beach is located next to the boat launching zone and is completely safe for your loving dog. You can also get your dog a nice wash here. So, if you don’t want your dog to miss the fun of playing with the surf, heading up to the beaches mentioned above would be a great idea! Get yourself some cheap flights and make your way to one of these beaches today!